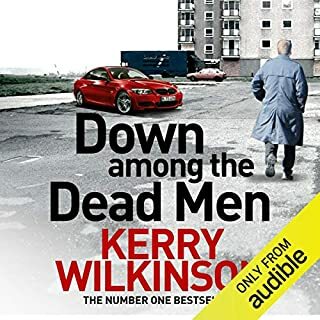 Down Among the Dead Men is a dark underworld thriller from best-selling crime writer Kerry Wilkinson. 'I'm going to do you a favour: I'm going to tell you my name, and then I'm going to give you 30 seconds to turn and run. If any of you are still here after those thirty seconds, then we're going to have a problem'. Jason Green's life is changed for good after he is saved from a mugging by crime boss Harry Irwell. So much promise early on, sadly unfulfilled. 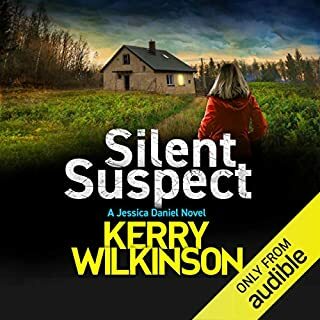 From Kerry Wilkinson, the best-selling author of the Jessica Daniel novels, comes a new crime series. Nicholas Carr disappeared on his 18th birthday and the world has moved on. His girlfriend has gone to university, his friends have got jobs, the police have other things to look into. But his father, Richard, is still stuck on the three fingers the police dug up from a sodden Manchester wood. What happened to Nicholas on the night he disappeared, and why did he never come home? What did you like most about Something Wicked? Jenny (Andrew's assistant) stands out from the beginning as unique character. The more I read about her, the more than I wanted to know about her. He helps bring the strong 3D characters on the page to life. 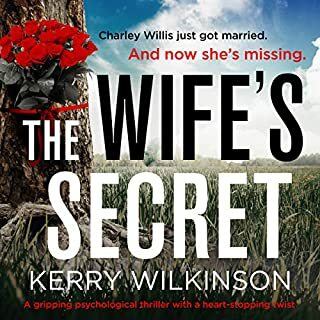 Can't wait for the next audio book from Kerry Wilkinson. 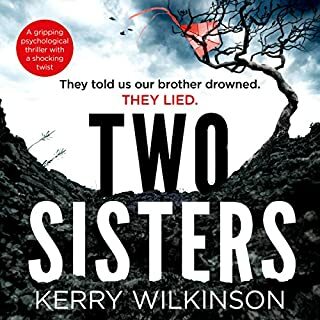 The relationship between the two main characters was interesting, but I didn't feel gripped by the story or the narrator. It was an 'okay' listen from a daily deal members offer. first book by this author that I have read/listened to and I thoroughly enjoyed it. the book is full of subtle humour and the characters are believable. I wasn't sure of the reader at first...but his different voices are just brilliant. Good narration overall good story. I like both main characters and felt I wanted to keep listening. 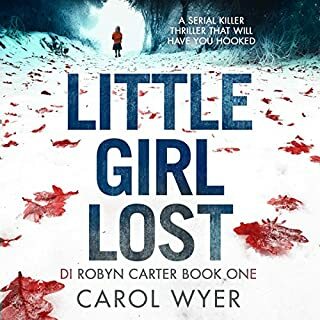 A pleasant little listen, not sure if it's the story or the narration but I wasn't chomping at the bit for the next chapter. Very listenable though. Easy listen but the reading style was far too easy to fall asleep to, especially at the beginning. I did become more involved as the story went on. Good as an audiobook but not a great read. 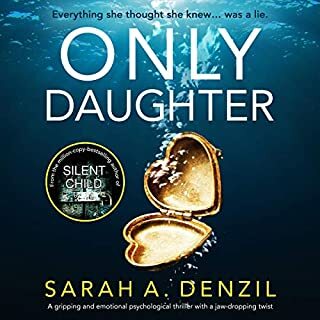 Thought I'd give this a go as I really did enjoy the Jessica Daniels novels and have been keeping an eye out for more books and came across this. 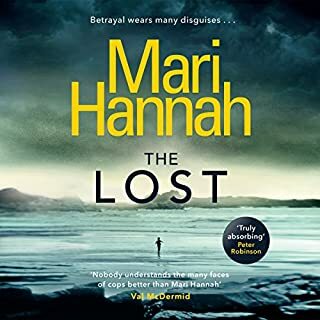 I did enjoy it but not as much as her previous books - story was ok and worth a listen but unfortunately not high up on my recommended listens as have read listened to some excellent books lately so maybe a bit harsh but just an ok from me. Ok story. 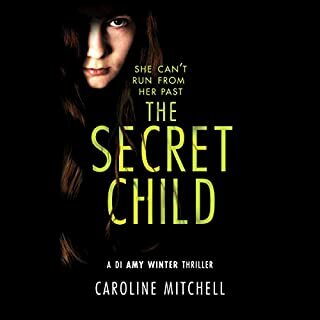 Various unexpected twists kept me listening to the end but Andrew Hunter is an interesting if not very likeable character (won't spoil it but leave it to the listener to make up their own mind). Probable won't look out for any more in the series. It is a simple story but written well. Lacks depth has some good twists but needs more fleshing out. Narrator has done a good job on it and the book is quite satirical at times. This is my first book by this author, even though I have the first 2 in his The Silver Blackthorn Trilogy, and I have to say that I really enjoyed this! When a man turns up saying that his son went missing 9 months ago and he feels the police have lost interest in it. He wants Andrew to investigate and see can he find him. 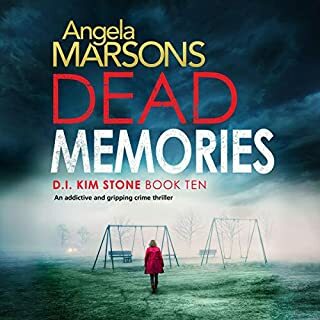 With very little clues, three fingers were all that was found, Andrew and his assistant, Jenny, set out to see what they can find. First stop, the boys then girlfriend Lara! Plot wise, this was relatively fast paced. The focus is on the main investigation, which is filled with twists and turns, but there are some side things happening too. I was surprised with the twist near the end and totally didn't see it coming! In all, a great start to what will hopefully be a great series. This author knows how to keep his readers hooked!! 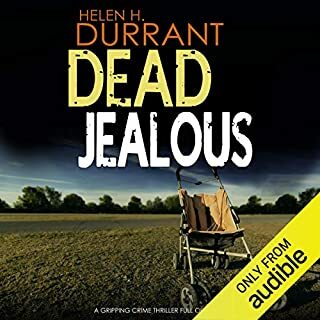 This audiobook is a fast paced mystery thriller. I have to stop listening at one point while driving because I was so into the thrilling narration. I finished listening when I got home.I highly recommend. I knew I would like this story as soon as I heard Nigel Patterson acting the role of the radio announcer with the fake American accent. 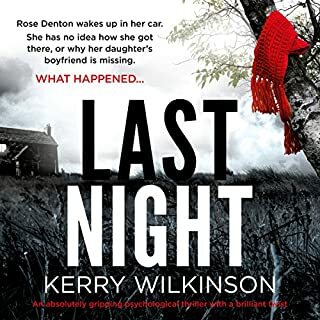 The next hook was the car pursuit of the wily and underestimated Stuart Deacon in his Audi, this was also my introduction to Andrew, the little bit seemingly boring P.I., and his lively assistant Jenny. It would be difficult to add to the publishers blurb without spoilers, so I won't, but needless to say, there are many twists to this story. The beauty of it is though, is that this is the first story of a series, and as such, cleverly lays the foundations for future stories. Now what about Jenny? Well, being the assistant to a private investigator, we know that she is bound by the laws of crime fiction to be clever and quick witted, and also to be very good with computers. She is all of these, yet Jenny is also a Very Odd Person, and I look forward to reading or listening to her story. Oh, and does she have a surname or is that a part of her mystery? I can't recall hearing one on my audiobook. As for her boss, Andrew Hunter, seems he's a bit of a mystery himself. I quite liked him, but at one point in the story he really went down in my estimation. However, later, when he'd proved that he could man up, he redeemed himself! I'm very much looking forward to his future story. I would never have believed I could like anything originating from the pen of a Sports Writer, but this is a thumping good story, tip top, and well suited to audio. Much of the success of an audiobook is, of course, dependant on the quality of the narration. 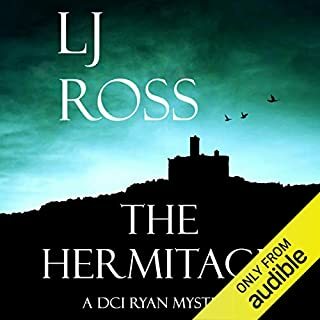 For me, the best of the best narrators are the one who, when within a few moments of listening, one just doesn't notice them any more. 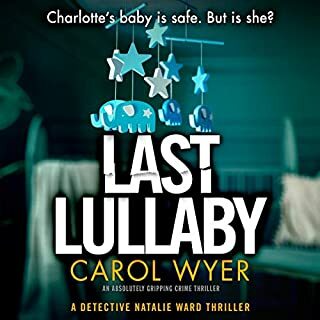 The voice is pleasant, the rythymn and pace is just right, as are the accents and characterisations. There is nothing to jolt the listener away from the story and back to reality. Surely, this is how it should be? Such is their talent, that they can make or break an audiobook. 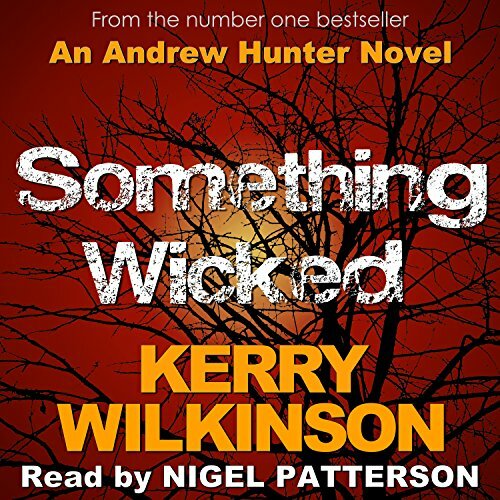 Nigel Patterson is up there with the best of them, I fervently hope that the author and publishers continue to work with him for all future Andrew Hunter Audiobooks. Very interesting listen with so many twists and turns. Was grabbed from the beginning to the end. Very good story with fabulous narration and was surprised with the ending. Highly recommend. 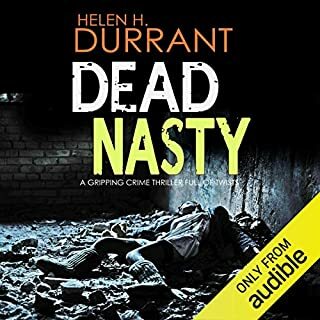 Audiobook provided for an honest review. 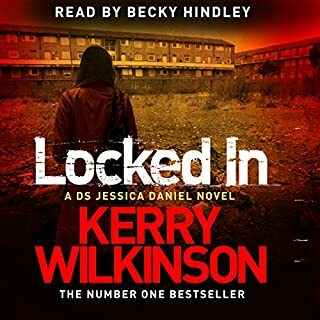 Where does Something Wicked rank among all the audiobooks you’ve listened to so far? Something Wicked ranks right up there with the best books. I enjoyed listening to it! Yes! Loads of twists & turns in this book to keep you on the edge of your seat. The cult was quite haunting. I love Nigel's voice! Even better, I love how many multiple voices he did in the bok and the sound effects he did, such as a quieter voice when thoughts were in his head & the way voices drifted off when people were talking! It spooked me. Some parts made me laugh. I loved the detective work & all the foot trails the detective followed. Listening to this book was great! I really enjoyed the story & plot itself along with the delivery by the narrator. Nigel breathed additional life into this story with all his voices and sounds! Definately. I really enjoyed this one. Not my normal fare, but I am glad I had the chance to hear it. Something Wicked draws you in from the beginning with a lot of plot twists and well written characters. I was suprised at the ending, every time I pegged someone I turned out to be wrong. This book will keep you guessing until the end. I haven't listened to any others from this narrator, but I will be looking for them in the future. 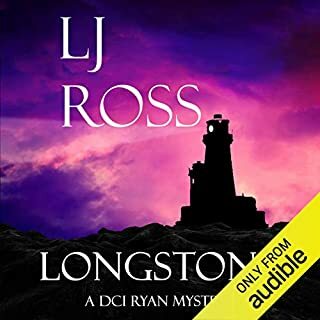 Nigel Patterson has an amazing voice and really makes the story a great listen. I listened over two days- would have made one if it was possible. What did you love best about Something Wicked? A really good story. 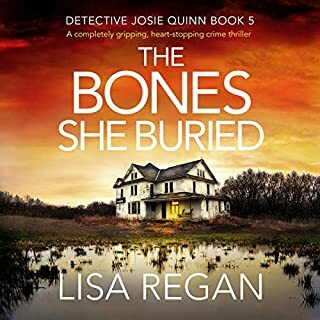 Strong characters twists and turns in the plot line. The way it was narrated by Nigel Patterson he brought the story, City and characters to life. Alex (not man) licking the bread before she puts it back in the packet. Yes I would have listened in one sitting. 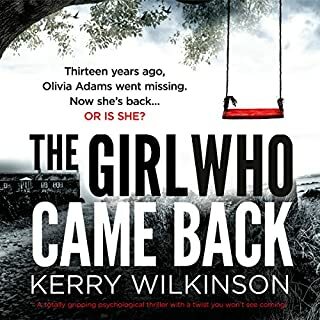 This is my 1st Kerry Wilkinson novel and I loved it from start to finish. This a new author for me. I had been listening to a lot of police proceedurals and was looking for something different. This was different ,quirky and fit the bill. A private detective in Manchester England with a slightly odd assistant . Great narrator, accents are spot on. Can't wait to read the second book.